In just a few years the 'Anaconda' rapper has undergone a radical transformation. 1. Before she was famous: Nicki Minaj shows off her more natural side. 3. 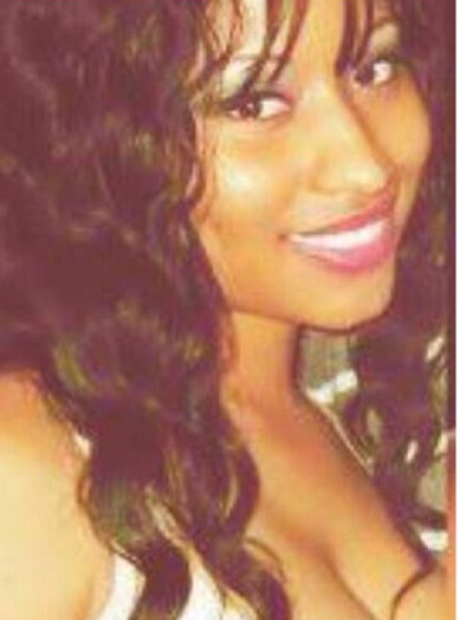 Underground followers of Minaj will know that she use to look like this. In a recent interview with E Online Nicki said: "Before my first album, I used to have a natural look. Only my really underground followers knew that side of me." 4. But when she went mainstream, drastic style changes started to happen. In June 2010 Nicki Minaj accepted the award for the Best Female Hip Hop Artist at the BET Awards, showing off a new look - but for some fans, the only one they ever knew. 5. And the transformations didn't stop. With the release of her first studio album 'Pink Friday,' Nicki was high in demand. With every performance and award ceremony, a new look came. 6. One of the most notorious styles Nicki was known for were her rainbow coloured wigs. Nicki told HypeHair Magazine: "Colour makes me happy. It really excites me. I am a very visual person and when I look in the mirror, and I see green or I see pink, it does something to my attitude. It makes me feel positive." 7. But it wasn't just the wigs that made Nicki Minaj stand out. Every outfit that Nicki was seen wearing, be in during a performance, video or on the red carpet, was utterly unique. 8. And by unique, we mean wacky! Here's Nicki Minaj stood with Beyoncé at the 2011 MTV Video Music Awards. With the release of her second studio album 'Pink Friday: Roman Reloaded,' Nicki continued to experiment with her look. 10. What the stylists say. Nicki Minaj's stylists, Jerod McClairn and Nonja McKenzie, known as known as McClairn & McKenzie, claim: "A lot of people ask what the inspiration is, and she’s the inspiration." 12. Another staple of Nicki's style was her bubblegum coloured lipstick. In the 2010 - 2012 era Nicki was almost always seen wearing a baby pink lip gloss. 13. Nicki Minaj's outlandish outfits weren't reserved for the stage. Even on the red carpet Nicki Minaj - real name Onika Tanya Maraj - would go all out and her Young Money label mates Lil' Wayne and Tyga were proud to pose with her! Nicki Minaj arrives at the Billboard Women in Music Awards at Capitale, New York City, USA on December 12, 2011. And it was one of the last wacky outfits we'd see on Nicki for a while. 16. When she wasn't at an event, Nicki would still wear unusual outfits. Those hot pants are case in point. But let's be realistic, it's toned down compared to the previous outfit. 17. Then Nicki became a judge on American Idol. 18. In 2013, Nicki was repeatedly seen wearing a new wig. Nicki's hair stylist said: "I created that wavy, super-blonde hair with the dark roots — the wig. I created that to take her in a little more natural direction but still bold because she’s always been known for a little edge." 19. And then, out of nowhere, Nicki went completely natural again. Last month Nicki attended the MTV Movie Awards wearing a sophisticated Alexander McQueen black dress, and everyone loved it. Her stylist said: "At that particular time I thought she should have a much more modern silhouette—luxurious, someone who is embracing high fashion" - certainly looks like it! 24. "Doing nothing will shock them even more"
Of her new look, Nicki said; "You can either continue doing costumes or you can just say, 'Hey guess what? This will shock them even more. Doing nothing will shock them even more." If you want to keep up to date with Nicki's 'Pink Print' style, then you need to get on her Instagram page. 29. Nicki Minaj decided to dye her hair blonde again!